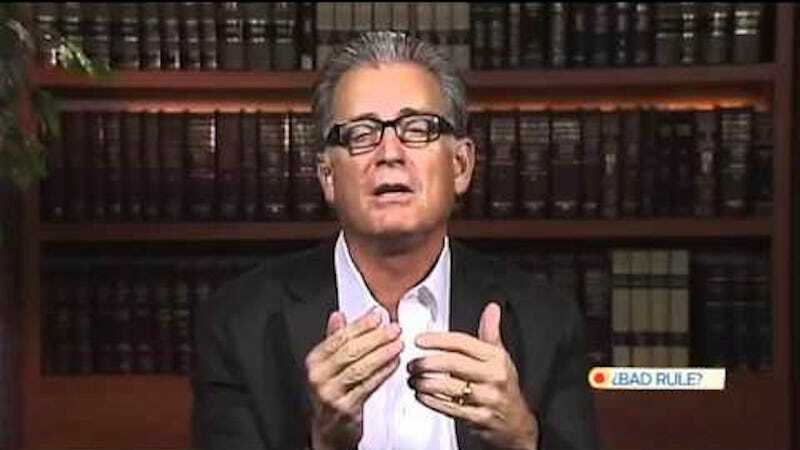 Mike Pereira, you'll recall, was vice president of officiating for the NFL. This year, Pereira has not pulled any punches when talking about how terrible the replacement refereeing has been. He, like most of the internet, believe the referees are doing a number on this San Francisco-Green Bay game. Greg Aiello, spokesman for the NFL, is sick and tired of taking all this guff from the media, fans and, yes, former league employees. So he fired back at Pereira. Aiello gets points for sheer bitchiness, but I'm not really sure how it helps the cause to essentially say "Yes, you are correct, these referees are terrible, but so were you!" It also makes the league look even more petty than it already has been in its negotiations with the referees. Update 6:25 P.M.: Aiello tells Bob Glauber he and Pereira were kidding. We apologize for claiming that the NFL was petty for this in addition to its handling of the locked out referees.